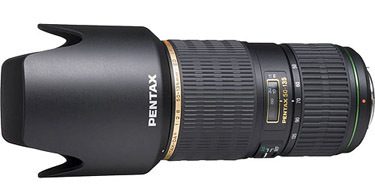 The Pentax DA 50-135mm f/2.8 ED (IF) SDM Autofocus Lens is the best telephoto zoom lens Pentax offers, and is a must have for Pentax shooters due to its extremely useful telephoto zoom focal length that is equivalent to 75mm to 202mm. This is is the go-to lens if you are shooting sports, action, wildlife and street photography. It includes fast SDM auto-focus, and features a super protective coating on the front surface for improved weather sealing.